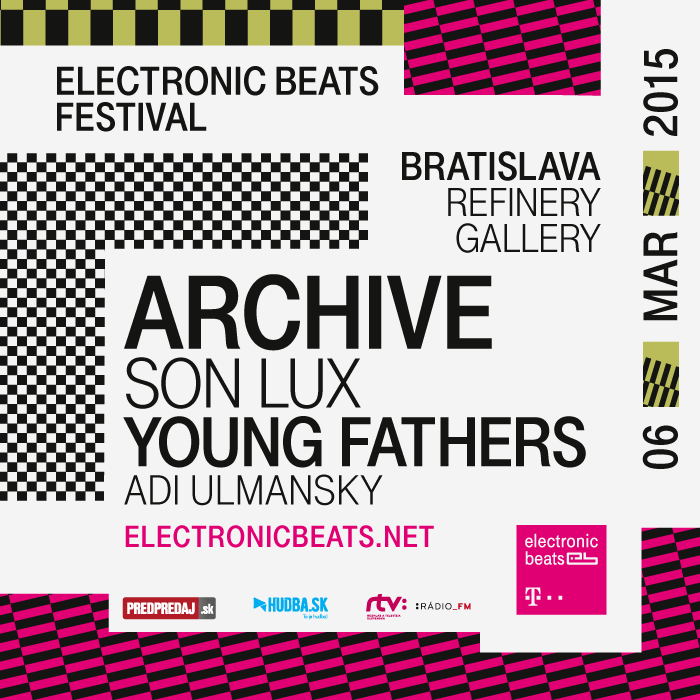 Our bash in Bratislava is planned and the theme is alternative hip-hop. As the inaugural date of our Spring Festival Season draws ever closer, we’re incrementally unrolling the lineups for the gigs that will hit Warsaw, Bratislava, Prague, and Cologne. Last month, we revealed the indie-pop and house-oriented acts that will perform at the EB Festival in Warsaw, and today we’re unveiling the roster for our Bratislava blowout, which takes place at the Refinery Gallery on March 6 at 20:00. This time, the acts all have roots in odd rap. The headlining band, Archive, has traversed the grey area between electronica, trip-hop, and progressive rock since the mid-1990s. The London group’s most recent album, Restriction, hit shelves this week. Check out the title cut below. We’ve enlisted American post-rock/alt-hip-hop auteur Son Lux to support Archive. He’s something of a jack-of-all-trades who has made soundtracks for films like Looper and The Disappearance of Eleanor Rigby. The former Anticon signee recently locked in a deal with the legendary Glassnote label. Lux’s former Anticon labelmates Young Fathers are also on board. The Scottish rappers won the Mercury Prize last year for their last Anticon album, Dead. Our TMTS graduate Adi Ulmansky will close out the Bratislava lineup. The Tel Aviv-based up-and-comer fits the bill for our festivals in Warsaw and Bratislava, as she skates the line between indie electro and rap with grace, attitude, and earworm pop hooks—which is why we’ve booked her to perform at both gigs.